Living frugally calls us to make decisions based off of reason rather than emotion. This is easier said than done. The stock market itself is driven by 90% emotion and only 10% reason. When we talk about losing money in the stock market, it’s not “if” but “when.” Investing in the stock market can be done successfully, but is best guided by keeping emotional swings in check. Don’t let the risk of losing money derail your investment plans and hinder long term growth. Most investing is done over decades and follows a carefully constructed plan. Whether you put pen to paper or type it out, a formalized plan will help you immensely. Think of this as a mile post to mark your investment plan by. If there is a certain percentage you feel comfortable losing state that; if there is a percentage of income you want to derive from the investments, notate that. If there is a certain amount you plan to invest each specific period (Dollar Cost Averaging) notate that. The point is to write down what plan you want to follow. Having such a plan in place can make the separation of emotions and investing an easier process, and your portfolio will thank you for it in the long run. Now you might say that I don’t have the time to manage my portfolio and I’ve hired someone to do it for me. That’s great, but handing over the management of your investments to a “professional” does not release you from the responsibility of doing research. In such a situation, doing your own research will help you be more active in the management and keep track of what they’re doing. In the end it’s about education and staying on top of what your money is doing. More education will breed more confidence which will make it easier to decrease emotions. A common feeling for many in the market is to check their performance regularly, almost too regularly. Checking up on your portfolio’s performance is fine and expected to a large extent. That is not what I am talking about here. Avoid checking multiple times a day. Giving in to the felt need of constant checking will only wed emotions to your investing and tempt you to make a decision you might not make otherwise. A recent study showed that while the S&P 500 returned 8.4% annually from 1989 to 2008, the general stock investor returned only 1.9%. That is a huge difference and taken over many years can have devastating effects on a portfolio. This difference can be pointed back to one main culprit – emotion. Don’t let fear or the rush of a potential gain dictate your investment strategy. 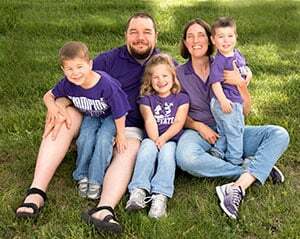 Learning how to separate your emotions from your purchase and investing decisions will help you achieve your goals and invest with confidence, which is a hallmark of frugality. How do you keep your emotions from taking over while investing? Do you like to invest in the stock market, or does it keep you up at night? Investing can be very frustrating if you allow emotions to dictate how you react to market situations. If the entire market goes down in a day I say buy, easier said than done. This is what accounts for the 1.9% average return. People flee the market after it has already went down and thus lost a great deal. They then only return after the market has returned, and lost nearly any chance for an upside. I have a piece of paper next to my computer that asks if I am selling because others are? This helps to keep me in the market when everyone fears the worst. I don’t worry about buying because I only dollar cost average into index funds and buying is never the problem for me its trying not to sell. Very true Justin. Fear can be a dangerous thing when you allow it to dictate your investment decisions. I know it can be difficult to stick to your guns when the market is down 3% on any given day, but if you don’t you lose so much money. That’s a great idea to have a note by your computer…I have a similar plan myself as I don’t want to be locking in losses because everyone else is. Thanks for stopping by! Great advice. I always tell people to stop checking your account balance every day and to turn the channel when the news starts to talk about the day the stock market had. They will sensationalize it and make it better or worse than it really is. If you are feeling overwhelmed, pull out your plan and review it. Remind yourself why you are investing and that there will be short term volatility. Think of it like a car ride. No ride is completely smooth. There are bumps and potholes along the way. Thanks Jon. I couldn’t agree more. I love your analogy of a car ride, that’s a great way of putting it. I think that having so many investment options can just be overwhelming for people. I have felt that personally as well. I am luckily not an emotional person and it doesn’t bother me to lose money on any given day or month. I know it’s all part of it. It can Holly. When you add that to people who’re not well informed investors that can lead to a potentially dangerous predicament. John, love this post, especially the part about not checking your portfolio’s performance too often. That can so easily drive us to make impulse decisions about buying and selling. 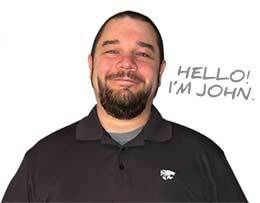 Thanks for the great info, John! Thanks Laurie! You’re right on in that statement and it comes down to separating those emotions and having an investment plan. I plan on writing an Investment Plan post in the near future which will shed some more light on this. Checking too often is the best way to make emotional decisions. You think the market is crashing when it is just a little bump. I forced myself to check investments once a month at most, for the ones I plan on keeping long term. You’re exactly right Pauline. Not checking and being too focused on slight movements is a vital way to having long term growth. Great point! That fear just feeds on itself and makes it harder not to make an emotional decision. That will just ruin your long term goals. Investing can be stressful however I can take the emotions out of it because I realize that I won’t touch the money for another 40 years. So I think having a long term perspective is key when you are still young. It can be Deacon, and having that long term perspective is vital. Otherwise, you’ll just be chasing returns and racking up commission costs. I love the “don’t check multiple times a day” advice. I tried to share this with my son when he purchased his first stock. He watched it constantly and it didn’t move. Then he forgot about it for six months and it went up 10%. It was a good lesson for a 16 year old (at the time) about letting your money work for you. I also like the last point about not checking your portfolio several times a day. Safe investing is a long term game and whilst it’s wise to keep on eye on things so you don’t miss an opportunity or lose a lot of money, regular trading fees can easily eat into your profits if you’re only investing modest amounts. That’s a great point! Trading actively is a great way to have those commissions add up. There are times when it makes sense to get out of something, but a slow and steady approach is often the best. These are all good ideas. I typically buy and hold, but you do have to check up on your asset allocations occasionally to make sure you are still in line with your goals. I am a buy and holder, to a certain extent as well Marie. However, I am not referring to not checking your portfolio…just not checking it multiple times a day. That only leads to emotional decision making if you have no investment plan. I think you should be aware of what’s going on with your investments, but I agree don’t check it everyday. Otherwise you might be tempted to pull out if things are down, then you can miss some amazing gains. That’s exactly what I am talking about Kim. There’s a huge difference between the two…which is why having an investment plan is vital to long term growth. I try not to check the market too often. That’s why I have a big portion of my investment in index funds. At least I don’t have to check those very often. When the market goes up it’s nice to see your stocks go up though. That’s a great approach to take! That can take a lot of the “checking” feeling out of your day to day investing. Taking the emotion out of investing has to be one of the hardest things as we put so much energy into getting our money in the first place! But investing is the “business” of our lives and as such needs to be reinforced with a strategy that fits and is unwavering by emotion but rather evolving based on logic. 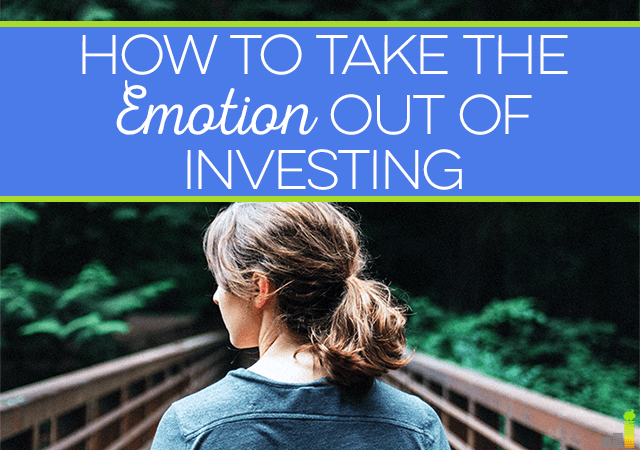 I agree Julie, it can be very difficult to separate those emotions from our investing. What many miss though is that by acting on them we actually end up shooting ourselves in the foot in the long term. I try not to look at my investment so often but I must admit being in a job where I am always seated in front of a computer, it’s hard not to. I have learned, however, not to worry too much over the ups and downs of the market. Some of these companies have big ups and down.. eg. Apple! That’s a great point Brian! I think there’s a difference between checking just for information & checking because we’re afraid. The first is really of no consequence, but the second can cause issues to our portfolio. To keep my emotions in check, I have turned off the television. No more CNBC for me! It seems like every day there is a new crisis/reason that is driving the market one way or the other. If I’ve done my research and have my plan, I don’t need to worry about the minute to minute ticks of the market. Not a fan of CNBC Brian?! 😉 I know what you mean, they can make it seem like the sky is falling every day. You bring up a great point about having a plan, without it you have no confidence. With a plan though, you can rest easy and some a certain level of confidence. Well, Mr. CBB…you’re way ahead of the curve by seeing that the market does ebb and flow and not to get nervous based off of that. Getting that research in under your belt is a great way to become more confident in your investing. 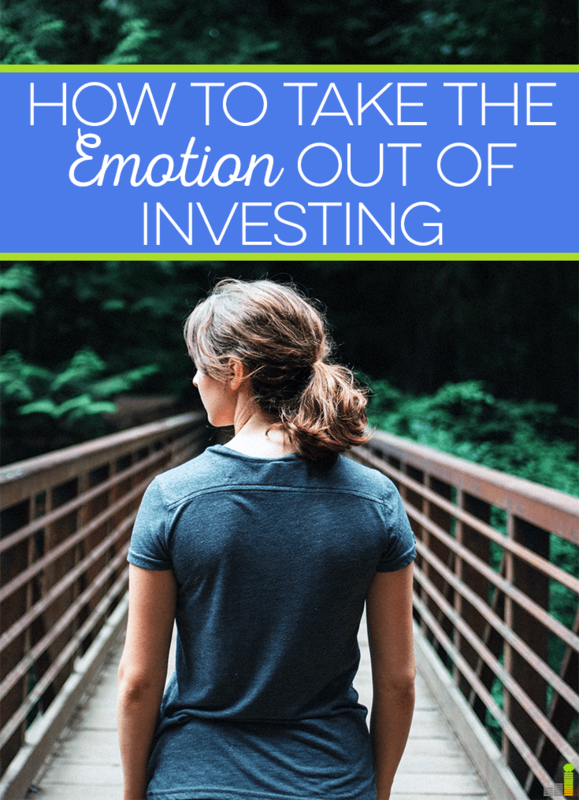 We must really stay away from being emotional when it comes to making investments. decisions should be based on reason. Planning and research are imperative before deciding where and how much to invest. That’s a great point David. Emotions can be a powerful thing and they can cloud your investment decisions. They do need to be based off of reason and research, otherwise you’re just hindering yourself. Ha! Love the honesty. We all get lazy, but this is always a nice option to have with WP. Yes it is Eddie! Plus, it’s good to be able to shed light on some of the posts that might have gone unnoticed from the early days. I am one of those guilty ones who checks the stock market multiple times a day. I have several emotions when it comes to the market. I get all happy and excited when the stocks I own go up, but yet I get annoyed when the stocks I want to purchase go up, because I want them to be at a decent purchase price. I get a bit disappointed when my stocks go down, a little worried when there’s a bigger drop and then again, I’m relieved when the stocks I eventually want to purchase go down. LOL. It’s fascinating how it can play with your emotions.! It really can play on your emotions. There’s nothing wrong really with watching the market, I do it all the time because I am a nerd like that. However, checking your positions and putting yourself into a situation where you’re making decisions based off those emotions is a different thing altogether. One of the keys is to have an investment plan to help guide your decisions. I’ll be writing a post on how to do this in the future and how I use it. I completely agree with not checking your portfolio balance very often. I have a habit of checking 2 or 3 times a day even though I am invested for the long term. For me I buy solid blue chip dividend growing companies and plan on holding forever. I always do my research before a buy by doing a thorough analysis of the financials of the company and this along with the dividend income allows me to stay the course when the market has decided to drop. If I invest in companies that I have doubts in and then the market drops I would be more likely to panic and sell. But since I only invest in companies that I am 100% confident in I am able to ride out all the waves. I always invest in stock market after doing some research on the company. But sometimes it does not working. I totally agree on all your tips. I do all of them 🙂 I check my investments however regularly almost on daily basis and I would say hourly basis, but I learned not to panic or not to be overoptimistic, so I do not have a problem with it. However, there are situations when I started freaking out and when that happens, then that is the time when I am turning the computer off and go away from it. Saved me a lot of bad nights. However, I understand, that there are people out there who do not have guts for doing something similar and for those, these are great tips. Some very good advice. I would say that if you can’t differentiate between what is an investment and what you have an emotional attachment to, you should let others invest your money for you. You have to find a way to detach your emotions from your investments and just follow good sound financial advice instead.